Get US$0.9 back in Klook credits for your next trip when you book this activity! Complete this Klook activity to get 10% of the activity cost back in free credits to use on your next booking. For example, book US$9.19 to get US$0.9 free credits. A trip to Singapore would be incomplete without a visit to the city’s most legendary resident. Get ready to delve into Singapore’s ancient and enchanting past through video animations and an interactive treasure trail that uncovers the myth behind the Merlion. At 37 meters high you can climb (or take the lift) up into the Merlion’s mouth, it’s a fantastic photo spot so make sure to have your camera ready to capture the spectacular views. Even at night, the Merlion is a sight not to be missed as the innovative lighting displays bring this ancient symbol to life. Don't leave without slotting your entrance card into one of the Gold Merlion Statues in exchange for a limited edition prosperity coin! It is something that should not be missed if you are there for the first time. A great learning experience for young and old. The view is just amaizing. Thanks to Klook I saved $28 for the family of four. It was an instant that I showed the pdf vouchers at the counter. Buying the cheaper tickets while waiting in the queue was amazing. So many people are paying full price.... If only they know our secret. Klook rocks and saves me money. It is something that should not be missed if you are there for the first time. A great learning experience for young and old. The view is just amaizing. Thanks to Klook I saved $28 for the family of four. It was an instant that I showed the pdf vouchers at the counter. Buying the cheaper tickets while waiting in the queue was amazing. So many people are paying full price.... If only they know our secret. Klook rocks and saves me money. This is so fun! As for me, I love history and this greatly informed me about Merlion's history. I highly recommend this and it's mesmerizing to see the city through Merlion's point of view. Amazeballs! This is so fun! As for me, I love history and this greatly informed me about Merlion's history. I highly recommend this and it's mesmerizing to see the city through Merlion's point of view. Amazeballs! The price you can get from klook is discounted compared to what you will have to pay if you just walked-in. 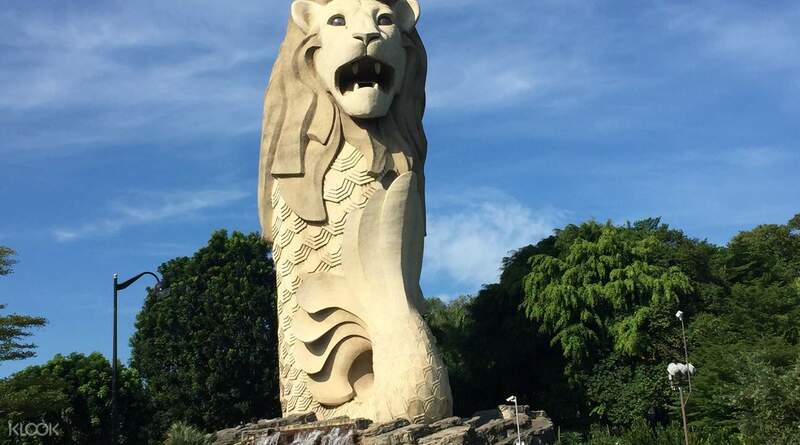 The attraction is basically a small museum about the Merlion, a short show about the legend of Singpore, access to the mouth and head of the Sentosa Merlion (you can see a good view of Sentosa and the Singapore skyline), and a merlion souvenir coin. Not bad for the price you can get here in Klook. A must see for first timers in Sentosa. The price you can get from klook is discounted compared to what you will have to pay if you just walked-in. 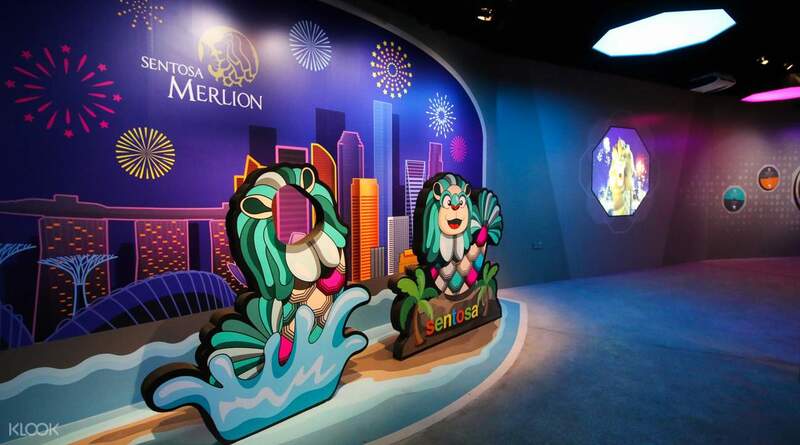 The attraction is basically a small museum about the Merlion, a short show about the legend of Singpore, access to the mouth and head of the Sentosa Merlion (you can see a good view of Sentosa and the Singapore skyline), and a merlion souvenir coin. Not bad for the price you can get here in Klook. 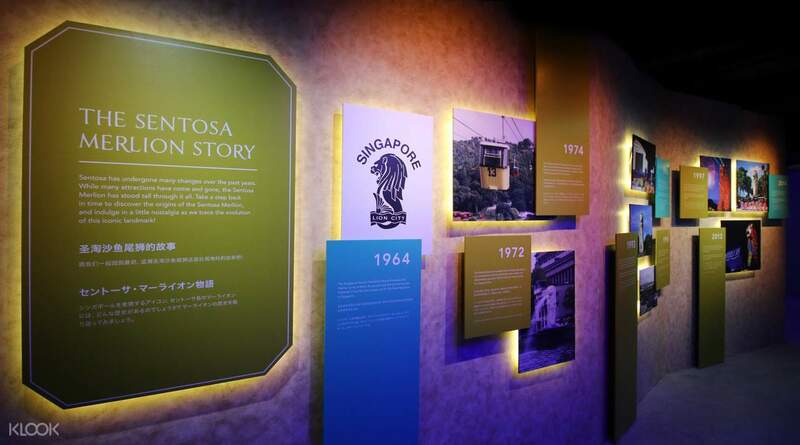 A must see for first timers in Sentosa. i really looking forward to this because of the limited golden medalion. i hope the sentosa will have this perks for everyone who will visit the tower. i really looking forward to this because of the limited golden medalion. i hope the sentosa will have this perks for everyone who will visit the tower. This is a pretty short activity (20-30 minutes) but definitely worth the cost of the ticket. You get to learn the history of the Merlion, and then go to the observation deck at the top and a picture taking spot in the Merlion's mouth. Both offer great views. This is a pretty short activity (20-30 minutes) but definitely worth the cost of the ticket. You get to learn the history of the Merlion, and then go to the observation deck at the top and a picture taking spot in the Merlion's mouth. Both offer great views. The view from the top of Merlion is fantastic. It was a scene that we enjoyed taking lots of photos. Great place to visit in Sentosa Island. The view from the top of Merlion is fantastic. It was a scene that we enjoyed taking lots of photos. Great place to visit in Sentosa Island. The experience was excellent !!! We enjoyed a lot and thanks Klook...your price is much cheaper than the actual ticket. The experience was excellent !!! We enjoyed a lot and thanks Klook...your price is much cheaper than the actual ticket.